In the world of virtual reality, the best VR flight simulators are worth looking for, as flights are simply not possible for every human being unless of course, you are a pilot. The flying VR experience is one of a kind and is probably the best deal you can expect. Here are a few VR games involving flight simulation that works on PC, PS4, and mobile devices, and are compatible with various headsets like Razer OSVR, HTC Vive, and Oculus. 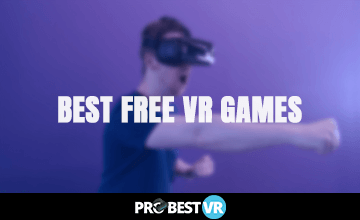 Although every game is in itself, exhilarating, we tried them out and listed only the best flying games and apps for VR. Here is a comparison of top five best VR flight simulators. 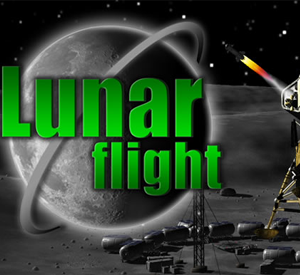 Realistic and beautiful, Lunar Flight lets you accomplish exciting missions as a virtual pilot on the Moon. You will collect data and deliver cargo at survey locations, and use the points you earn to repair, upgrade and refuel the lunar module. It is one of the best VR flight simulators for the unique, immersive flying experience it provides. The lunar module simulator is a modern interpretation of the classic arcade game. The flight simulation is realistic, immersive, challenging and addictive. Compatible with HTC Vive and Oculus Rift, this VR flying game is even more enjoyable in Multiplayer mode. 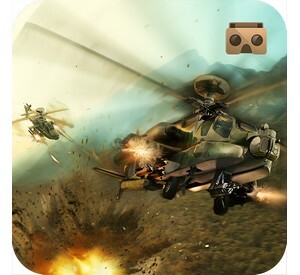 Get a totally immersive experience with VR Battle Helicopters. This VR flying game is made for 360-degree movements and you can enjoy taking down your opponents in this real-life environment as you fly your own helicopter. The graphics are made specifically for VR and you will have a truly immersive experience. One of the best VR flying games, it works perfectly with the new Google Cardboard and other similar VR headsets. The use of headphones is recommended for the best immersion. The minimum operating system is Android 4.1. This is the first flying car VR game that offers the most immersive VR simulation of flying a real car. Designed specifically to be an immersive game you can enjoy hour after hour, you can look down, up, behind or in front. Ride through roads, trees, mountains throughout the virtual world. You can even fly above an ocean surrounding a city. This 360-degree game is perfect for all three-dimensional VR headsets making it one of the best VR flight simulators. 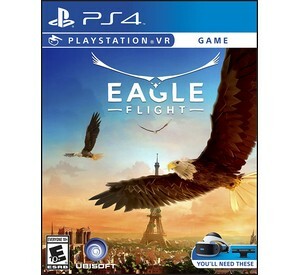 One of the best flying games for VR, it is compatible with Google Cardboard, Oculus Rift, HTC Vive, Samsung Gear, Homido, and many other headsets. It requires at least Android 2.3. Okay, so maybe this was the last thing you expected on a flight simulation game. Believe it or not, however, in the virtual world of skiing, Ski Master feels more like flying than jumping. If you have never skied in your life, you will definitely get the ride of your life with this jumping-style virtual reality. 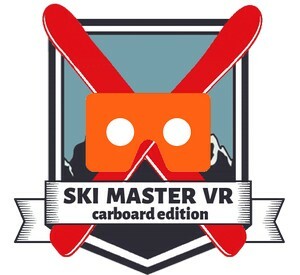 One of the best flying game apps for VR, Ski Master requires at least Android 4.4. DCS World features one of the best VR flight simulators where you can get a firsthand experience of amazing dynamics of flight right from your own cockpit. To move ahead in the game, you need to get rid of your enemies. There are various jets and a range of vehicles you can use to go on your various missions which are assigned to you. Each spacecraft look real and are very realistic to the ones actually used in World War II. Amazing details are jam-packed into this immensely immersive game. There are multiplayer and single modules for the game. 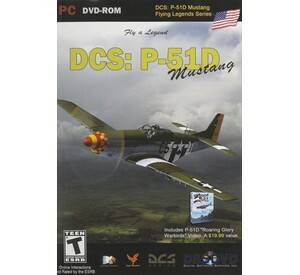 One of the best flying simulator games for PC, DCS World works on Windows Vista, Windows XP and requires at least 8GB of RAM. 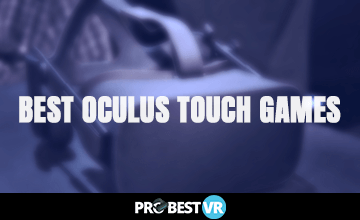 Recommended Read: If you own or plan to buy an Oculus Touch, please check out our list of the best VR games for Oculus Touch! This flight simulator feels real as you fly your own plane in the world of the best VR flight simulators. There are aerial images, worldwide aviation, night lights in the cockpit you can adjust and three-dimensional cockpits that are highly interactive. You can select any aircraft you want to fly in this game. As you fly your own plane, enjoy the gorgeous terrain such as cities, lakes, and mountains for easy navigation via VFR. This single-player game features great VR graphics and is compatible with most VR headsets. One of the most realistic looking games you can find, Space Force feature graphics that are exquisitely detailed. 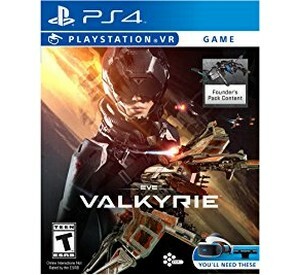 In Space Force Virtual Reality Rogue Defender, you are generally getting tasks completed involving defending the universe This is one of the best missions of flight you can go on without leaving the comfort of your room. There are different levels to play this game on with a scoreboard that keeps track of your every move. There are various timed tasks and multiple defender missions on this game that you can earn points and complete. You can also shoot laser guns at opponents you come across and get a great 360 VR FPS field of view. Enjoy an endless world in space with endless shooting as you fly your airplane in this realistic flight simulation. Pilot a fighter in space and get a real thrill as you experience the real sensation of being a space fighter. All you need is your VR headset. Boasting of a field view and a 360 VR FPS, you can look north, south, east or west or wherever you want to fly your fighter, pull the trigger and avoid all obstacles! 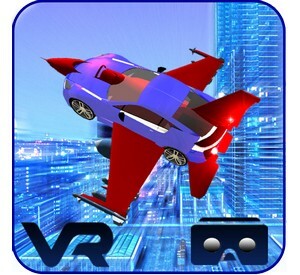 One of the best flying game apps for VR, it is compatible with most 3D mobile virtual reality headsets and requires at least Android 4.4. This multiplayer extensive game lets you wage war on sea, land and air battles with an ever-changing scene and international players. The planned actions and strategies are necessary for every aerial, giving you a long time to play the game. Gamers that love to kill time and feel exhilarated at the same time are going to love War Thunder. This multiplayer battle is designed and planned with amazing detail and you can go for a fierce multi-playing game from other players online in different parts of the globe. 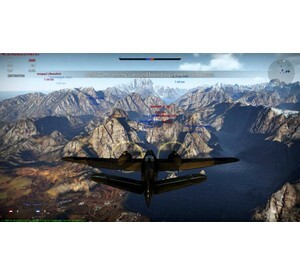 War Thunder is a definite must-try for novices and experienced gamers alike. Compatible with Windows, Linux, Mac and PlayStation4, this is one of the best PS4 flying games. 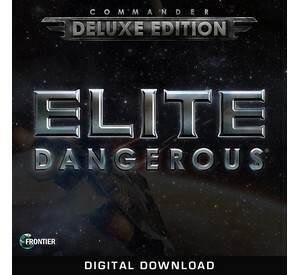 Experience everything Elite Dangerous has to offer with the Deluxe Edition of Commander. This VR game lets you take full control of your own starship in a galaxy that is nothing less than cutthroat. In this game, you are in the Milky Way in the year 3300. Some may call you an assassin, an explorer, a smuggler, a bounty hunter or a pirate. Others will call you an ally or a hero. Fly with friends or alone. Fight alone or for a cause. What you do affects everything around in a story that is forever unfolding. One of the best flying games PC, Elite Dangerous works on Windows 10, Windows 8, Windows 7, and requires at least 6 GB RAM. 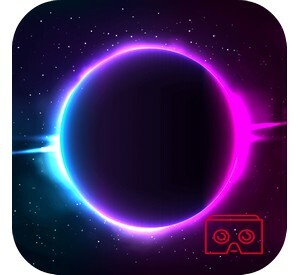 Get immersed in space combat virtual reality style as you are welcomed into the next life. A brand new battleground emerges in the epic fight between Schism and Valkyrie. The new map Solitude is introduced in this version with its mountainous terrain and tight tunnels. There are also underground, cavernous spaces. Even the most seasoned pilots of Valkyrie get their flight skills tested when they fly solo in this game. 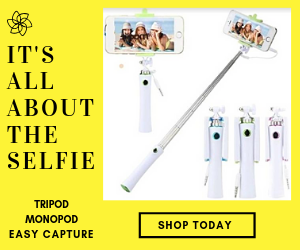 Super thrilling, take arms to claim what’s yours. 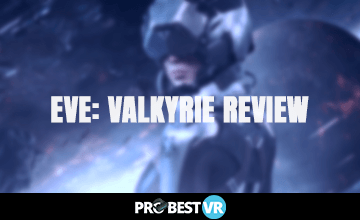 One of the best PS4 flying games, Eve: Valkyrie will enchant you with gorgeous VR visuals and cutting-edge virtual reality play. With Eagle Flight, players are in the body of an eagle. This makes it one of the best VR flight simulators since you can fly across a variety of locations in France. There are breathtaking virtual reality scenes and gorgeous views particularly when you fly over manmade creations such as buildings. There are awesome graphics in this game as well as beautiful details. Eagle Flight features an option for multiplayer and this is when everything gets a little bit more amazing. Not only is there more competition involved but you feel an actual adrenaline as you compete and fly under and over bridges. It feels like a race but if you are not careful, you could end up crashing. This engaging gameplay keeps the game going. You can check out this flight simulation VR game for a truly awesome experience. 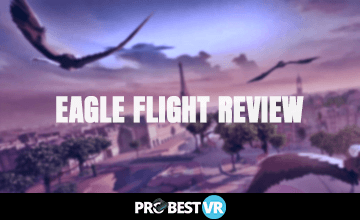 It is one of the best PS4 flying games, Eagle Flight is praised by many gamers for the unbelievable flying experience in VR. There you have it, the best VR flight simulators listed from least exhilarating to most exhilarating and realistic. Enjoy the most immersive flight simulation games for PC, PlayStation4 or mobile devices from the comfort of your own couch anytime you want to play. Get to feel the real deal of what it is to be a pilot. What are your thoughts on the best flying games? Comment below and share this article!